Best Projector Under 1000: Which One is Ideal for You? Planning to a bring a new projector in your entertainment but confused which one to buy? You won’t have to worry because we are there for you. So if you are seeking for a new projector under 1000 range and if you have already searched the e-commerce sites, you will know that you have tons of option. So what you are going to do? Just keep patience as we have already done the research part for you and created a list top five best projector under 1000. The projector market under 1000 range is immense, and it is easy to get swayed toward a wrong product. First, we researched the 1000 dollar projector market and then shortlisted some names from that huge bunch. Then we tallied all the models depending upon their performance chart, durability, feature and design. We also considered reviews of the customer as it serves as the honest opinion and it helped us a lot during the final decision process. Then after spending some reasonable amount of hours, we finally came out with top five names we think are worthy of your money you will invest in them. We can assure you that these models have all the abilities to dazzle you with a splendid performance that you would mostly see in high-end models. Eager to know the best part? We guess you are. So without further going through the introductory part, let’s cut to the chase and start with the review of all the products. BenQ is a premium brand when it comes to the projector, and their projector lineup is known for producing an exceptional performance. HT3050 is also one such projector from BenQ that has brought a smile to the face of its most customers with its performance and durability. It is geared with many impressive lists of features like RGBRGB color wheel, 1080p native resolution, 2000 ANSI lumens, etc. that allows the projector to achieve a breathtaking visual performance. 1080p native resolution with maximum 1920 X 1200 support. Projection size between 30inch and 300inch. Dual 10-watt speaker with CinemaMaster Audio+ enhancer. 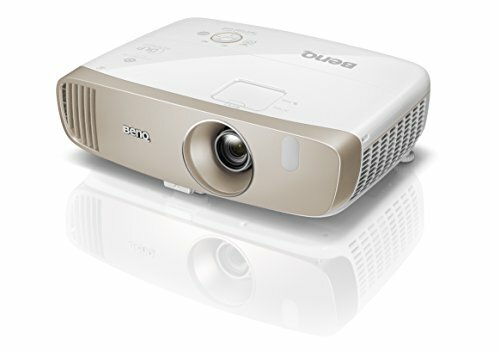 According to customers, you can associate BenQ HT3050 with the title of one of the best 1080p 3D projectors available in the market. It is a 1080p native resolution model that utilizes 2000 ANSI lumens and 15000:1 contrast to overwhelm you with breathtaking images. Not only that, but BenQ has also included top-end RGBRGB color wheel and ISFccc REC.709 with cinematic color technology that ensures which serves as the main reason behind its eye-popping colors. All these features not only provides This DLP projection system also houses 3D projection capability at 1080p resolution, and the output is almost free from any rainbow effect. While watching a movie, you can practically keep the BenQ HT3050 near the screen, and it is due to its 1.15m throw distance. There is no shortage of calibration option with this model as you will get +/- 30-degree keystone correction, 1.3:1 zoom ratio, manual focus, etc. It also boasts 7000 hours of light source life so you can imagine that it won’t give you any a headache for at least three years. The build quality of this model is praiseworthy and even though it carries much hardware but still it managed to restrict the size to 7.93lbs. Lastly, you will get a lot of port options like HDMI, D-Sub, RCA, Video-in, USB, RS232 and Audio. 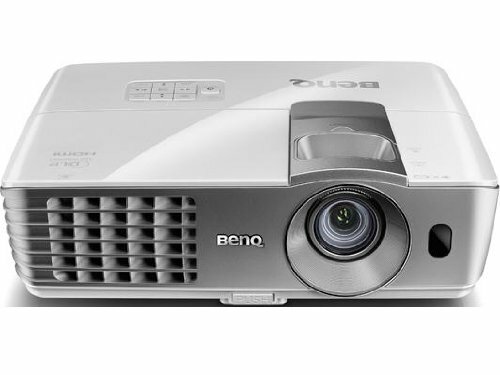 BenQ HT3050 is ideal for people who are looking for a top-notch 1080p 3D projector under 1000 dollar range. You will get one year warranty with this model so you won’t worry about any damage for one year. Epson home cinema 2100 might look simple from outside, but there is a beast lying underneath the white box. It is a beautifully designed machine that oozes out fantastic visuals without pinching you much in the budget. It is unarguable the best 1080p projector in this range and mainly due to its sound quality with razor-sharp clarity. It is geared with many crucial attributes, but its contrast ratio and projection technology take all the praise. 16:9 widescreen aspect ratio with 16:10 and 4:3 option. Epson Poly-silicon TFT active matrix. 7500-hour lamp in Eco Mode. 1.07 billion color support with 10-bit color processing. 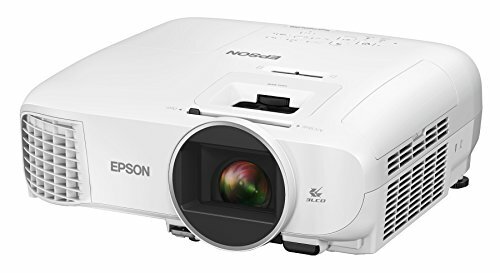 When you will start using Epson Home Cinema 2100, you will feel that this is not those regular projectors you often come across but rather a well-built machine. The 3LCD 3-chip technology along with 1920X1080 resolution gives its sheer power to produce top-notch visuals. The brightness and black depth in visuals are quite marvelous, and all the praise goes to its 2500 lumens along with 35000:1 contrast ratio. The color output of this projector will make your heart skip a beat, and it is due to its 3X wide color gamut which won’t find in any standard projectors. The screen size range of Epson home cinema 2100 offers is praiseworthy as it traverses from 30inches and goes all the way to 300inches. It comes as a complete entertainment package as it includes 3D compatibility and 10-watt inbuilt speaker. It is padded with a 200-watt UHE lamp that promises to last around 7500 hours in Eco Mode. You will find a lot of tweaking option that comprises manual focus, +/- 30-degree keystone correction, vertical lens shift, and 1.6x zoom. You can easily hook all type of modern devices with this model as it houses ports like MHL, HDMI, Audio, USB, and D-Sub 15 pin. Epson home cinema 2100 is a state of the earth 1080p projector that can suffice all your entertainment need if you are flexible with your budget. It is a well-tuned model that won’t bug you with a rainbow effect. Epson is a legendary home theater projector maker that serves as an invariable choice for many buyers as they never disappoint their customers in performance and longevity. Epson Pro EX9220 is no different as it gets the same DNA and it showers you with numerous features that help the projector to fulfill all your demands. 1920 X 1200 native resolution with max WSXGA+. 3600 lumens with 15000:1 contrast ratio. Epson Pro EX9220 is a popular model in the world of home theater projector, and many experts have high regard for this particular device. It uses legendary 3LCD 3-chip projection technology which with the help of 1920 X 1200 native resolution creates a magic on the screen. Whether you have little or no ambient light in the room, it won’t matter as it is armed with whopping 3600 lumens of brightness. It is slightly different than typical home theater models because it gets 16:10 as native aspect ratio but it also supports 4:3 and 16:9. 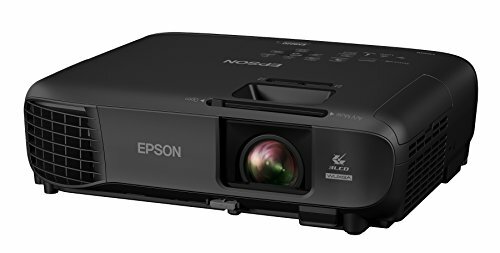 Epson Pro EX9220 gets 15000:1 contrast ratio which helps the projector to engulf every frame with razor-sharp clarity and proper black contrast. It outclasses many other models in color depth by delivering much more accurate colors, and all the credit goes to its 3x wider color gamut along with 1.07billion color support. You would never have any projection size issue with this model as it offers a 30 to 300inch range. Not only that it even gets 1.38:1 short throw ratio which is quite helpful for people who will install them in apartments. Sadly it doesn’t get a large lamp life, and it will only last for 6000hours in Normal mode. Epson Pro EX9220 gets some pretty good connectivity options, and it comprises HDMI, MHL, D-Sub, 15 pins, composite, audio, USB Type A & B and WLAN. What more? You can even mirror your laptop or smartphone using Miracast which makes connectivity more simplistic. It also relieves you from the hassle of set up as it offers Plug & Play facility. Likewise, image correction is quite straightforward due to the inclusion of +/- 30-degree keystone correction, optical zoom, and manual focus. It may not be a portable projector still, its 6.2lbs weight and the compact form won’t give you much hassle. The visuals remain bright in most of the conditions. The quality of the image is clear and sharp. It doesn’t face any rainbow artifacts. A large number of connectivity options. It doesn’t require ample space for set up. It doesn’t get 3D support at this price point. Looking to get an excellent projector under 1000 dollar range that will worth the money? Then you should check out Epson Pro EX9220. Optoma HD141X is one of the highly reviewed products from Optoma has satisfied a considerable number of users with its performance and longevity. The overall outlook is not at all that great, but with this model, Optoma has given more attention to its performance than design. The number of features you will get with this model is immense, and it includes 3000 ANSI lumens, 3D Sync, 3D compatibility, 6-color processing, 1008p native resolution, etc. Full HD 3D with VESA 3D sync. 16ms response time with support 144Hz refresh rate. One year warranty with 90day on the lamp. Optoma is entirely a well-known brand who has been producing top-end products, but its HD141X gave them the top tier spot that they have been seeking for many years. The main reason behind its popularity is its visual performance, and its 1080p resolution with 3000 ANSI lumens serves as the central pillar of its visuals. However, it’s 23000:1 contrast ratio and DLP projection technology play a significant role in assist the projector in producing a state of the earth visuals. The color output is magnificent as it gets support from 1.07 billion color and BrilliantColor technology that gears six color processors. Optoma HD141X is powered by a 190-watt lamp that only offers 6000 hours in Eco Mode which is a little downside of this model. You will be delighted to know that it is full 3D compatible and for seamless connectivity, it also gets VESA 3D sync port. The screen size it offers ranges between 41inchs and 300inches along with 1.62:1 throw ratio. Optoma has included a lot of ports in this model like HDMI, USB, Audio, MHL, etc. Unlike most of the models in its segment, it is designed for eco-friendliness, so it consumes less amount of energy, and it is entirely made up of components that are entirely lead-free. Optoma HD141X is one of the ideal options for buyers who are looking for a potent outdoor projector that won’t let down in image quality. 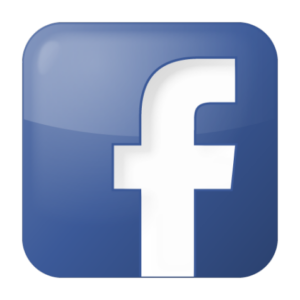 Even though it has some issue, but it excels from most of its competitors in the market. Native 1920 X 1080 pixel resolution. 2000 ANSI lumens of white and color brightness. 240-watt lamp with 6000 hours amp life. BenQ W1070 has never dissatisfied its customers with visual quality, and all the credit goes to its 1080p native resolution and 10000:1 contrast ratio. It also possesses 2000 ANSI lumens that brings vividness in every image it oozes out. However, its color accuracy takes all the limelight in the visual section and it mainly due to its Colorific Technology along with 1.07 billion color support. It utilizes DarkChip3 DLP projection system for delivering true to life visuals on the projector screen. Interestingly, it also offers Full HD 3D compatibility that you can use to play 3D Blu-Ray movies or play games. You can utilize BenQ W1070 home cinema projector anywhere in the house as it offers projection size from 40inches to 235inches with just minimum 1.15 throw ratio. While enjoying your movie, you will find some options for tweaking like +/- 20-degree keystone correction, manual focus, and zoom. A highlighting part of this model is its port options because it offers D-Sub, HDMI, RCA, S-Video, Component video, Audio, USB, DC 12V trigger and RS232. This projector is extremely easy to operate as it comes with plug-n-play capability. Lastly, it also houses a powerful lamp that has 6000 hours lamp life and SmartEco technology for saving energy. 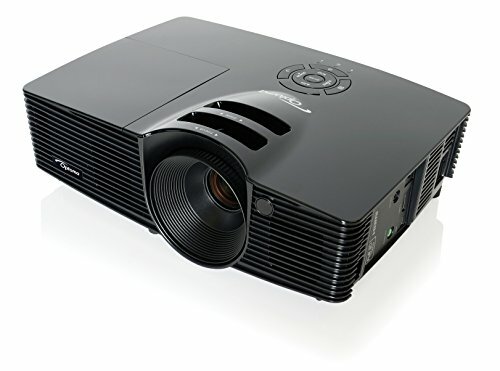 BenQ W1070 is one of the potent 1080p home cinema projectors available in the market, and it offers a massive amount of attributes making it entirely value for money. So if you are looking for this kind of projector, quickly buy them. Now, it is time to know about specific questions that frequently arise in the mind of buyer while they are about to buy a projector. It is not possible to mention all the queries along with their answers, but we have said the most frequent ones. 1. What is the best portable projector? Why? A best portable projector would be a model that would have the small form factor, would be extremely compact, have the right amount of brightness, offers great lamp hour, inbuilt battery and has excellent built quality. Not only that it should also provide excellent screen size range, short throw ratio, and an incredible price point. However, it is not possible to pick the best one randomly as different price range has different best models. 2. Can projector replace TV? The possibility of projector replacing TV is not entirely possible at least not in the near future. TV is still the mainstream, and people are more inclined towards limited size as most of the people are now cramped in small houses in big cities. Moreover, TV offers better longevity than a projector, and they are much cheaper than the projector. 3. 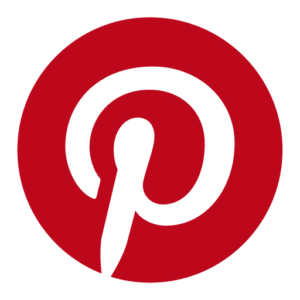 How are projector screens measured? Measuring the screen size of a projector screen is quite easy, and here we will mention two easy ways. In the first method you measure the length of the screen diagonally start with top left and ending at bottom right corner, and this will provide the overall length. In the second method, you have first to consider the aspect ratio of your projector and then multiply it by the width of the screen which will give you height. Then by utilizing Pythagorean theorem, you have square root the obtain figure, and it will give out the screen measurement. 4. Which projector is best DLP or LCD? Both DLP and LCD projection technology is best in their own perspective, and it varies from users to users as well as experts to experts. DLP offer better image quality, sharpness and lot of other features but they lack in lamp longevity and various other visual issues. While LCD projectors provide a better color output, cinematic experience, good lamp life, but they provide less contrast and requires a filter. So it would be unwise to justify whether DLP is better than LCD or vice versa. 5. What projector is best for outdoors? Best outdoor projectors would be those models that come with enormous screen size range, high lumens number, a lot of mounting options, right contrast level, dominant light source and impressive throw ratio. However, it should have the ability to maintain its quality even if there is any ambient light in the surrounding place. Lastly, it should also offer maximum resolution yet if it has a low native resolution. 6. How can projector be useful in teaching? Projectors are quite useful in teaching because it can maximum the projection size which is useful when there is a large gathering of students in a big class. Projectors offer an interactive education which is crucial to engage students during lecture and moreover it helps them to learn things in an interesting way. Many projectors come with portability feature so it can be installed anywhere without worrying about class size.